In July 2018, some 2,586 vehicles of all types have been manufactured in Kazakhstan, which is 7.3 percent less than in June 2018, the Association of Kazakhstan Auto Business (Aqaba) said in a statement Aug. 17. The cost of products of car industry released in July is estimated at 15.53 billion tenge, the message says. At the same time, the total outcome of seven months of 2018 exceeds the same outcome in the last year by 32.3 percent (103.79 billion tenge against 78.47 billion tenge). Production volumes in units have exceeded 73.9 percent the last year’s indicator (17 246 against 9 918 units). In July 2018, 1 599 vehicles have been assembled in Ust-Kamenogorsk by "Asia Auto" enterprise. 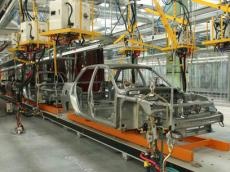 Some 828 pieces of vehicles have been manufactured in Kostanay, at "SaryarkaAvtoProm" LLP enterprise, "National Company "KAMAZ Engineering"" JSC factory in Kokshetau has manufactured 60 trucks, SemAZ LLP and Daewoo Bus Kazakhstan LLP factories in Semipalatinsk have shipped 5 buses and 53 trucks. Hyundai Trans Auto enterprise in Almaty has manufactured 27 units of vehicles. Sales of the vehicles assembled in Kazakhstan in the first seven months have reached 15,484 units (including exports), which is 64 percent more than in January-July last year. The market share of Kazakhstan's automotive industry has risen to 49.7 percent in July. The Lada (6 905), Hyundai (3 097), Kia (1 441), JAC (774), Ravon (552), Chevrolet (542), Skoda (319), KAMAZ (245), Hyundai Trucks (136) and Peugeot (122) brands are the top ten most popular vehicles of local manufacture according to the results of the first seven months of this year. Official exchange rate on August 17 is 360,87 KZT / USD.